The writer, painter, composer, musician, live as long as their works are allowed to live. Wren lives at St Paul's, Shakespeare at the Old Vic, Rembrandt at the National Gallery, Mozart at Sadler's wells. In the same way, till the Science of Archaeology, Sigiriya-Rock Fortress, Sigiri Graffiti, Inscriptions of Ceylon, History of Ceylon Volumes Survives, Professor Dr Senarath Paranavithana's name will live. Today (December 26) will be his 120th birth anniversary. We remember this great scholar and pay our humble tribute to him. The king is honoured in his kingdom; a nobleman is respected in his village; a fool is honoured at his home; the wise, educated is respected honoured throughout the world. Dr Senarat Paranavitana, was no exception. He was a great academic, scholar, archaeologist respected world over. Dr Senarath Paranavithana, the great historian archaeologist was an authority on Epigraphy, Iconography, Numismatics, Musicology, Excavation, Conservation and Archaeological Administration, was considered as the most brilliant, outstanding personality, in Archaeology that adorned in Sri Lanka in the 20th century. He was the first Ceylonese to hold the post of Archaeological Commissioner. Senarath Paranavithana was born on December 26, 1896, at Metaramba, Galle. He started his career as a teacher. He was a hard-working self-made man. 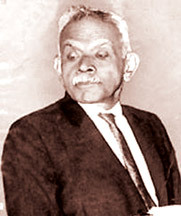 After leaving the teaching profession, he joined the Department of Archaeology in the late 1920's and he assumed duties as the first Sri Lankan Archaeological Commissioner in 1936. After passing out from the University, I served for nearly two years as a graduate teacher at Sigiriya Maha Vidyalaya Sigiriya in the early 1960's. This article is based on some of the human stories, anecdotes, incidents that I collected on Dr Senarath Paranavithana during my stay at Sigiriya. He was a kind hearted fine human being. The innocent villagers of Sigiriya, Kimbissa, Pidurangala, Rotawewa, Kayanwele, Inamaluwa consider this great man as a “Living God.”They believe that he is a rain-giver. Once, Dr Paranavithana was traveling from Sigiriya to Pidurangala in a Bullock-cart. Herath Hami was his carter. Herath Hami told me that Dr Paranavithana was a Bodhisatva. “Sir, he is a kind hearted master. He was a man who never harmed even an animal. He loved nature and men. One day, when we were on our way to Pidurangala, the bull found pulling the cart was difficult. He was panting. “Paranavithana Deiya,”said Herath Hami, stopped the cart. "Poor creature looks tired," said Dr Paranavithana. "I will get down and walk." He had an injured leg. Although I insisted he must not walk, he disagreed with me, got down from the cart, collected some “Van Fruits” from a tree, started feeding the bull till we reached Pidurangala Temple. A senior hand old Ukku Banda a labourer told me, some of his experiences with Dr Paranavithana. “Sir, sometimes we accompany him in his excavations. We walk for miles with him. Suddenly, he stops at a certain spot, and tells us to dig this place. He will sit under a shady tree. He inspects our work. When we dig about ten to fifteen feet, believe me sir, we always came across some ancient utensils, clay pots of some archaeological and historical value. Boss Paranavithana Deiya, with his usual close eyes show these items and first question us to ask for our views. What are these treasures? We keep silent. Then, he explains to us, tracing the history of these items. If, we come out with our views or question it, he was always happy. He was a fine listener and a fine leader of men”, quipped Ukku Banda. The greatest treasure, he gave to this country was the imaginative creativity of literary masterpieces on the Mirror Wall of Sigiriya. 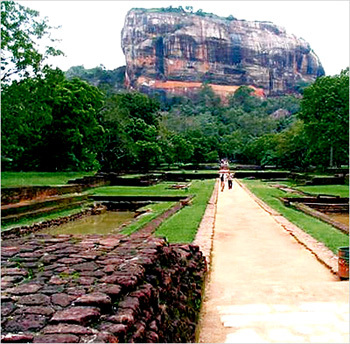 Sigiriya is the main fountain of cultural sites of Sri Lanka. Today its recognized as the eight wonder of the world. There are about 600 poems written in Hela Language. This great scholar collected and wrote the greatest graffiti and enriched the literature of the Sinhala Language. He referred the blue coloured one – Nilvanun, golden Ones - Ranvanun, Cloud damsels, Megalata and lightning damsels, Vijjukumari. 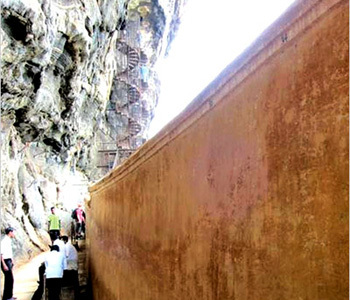 Many who have visited Sigiriya have written these valuable verses. I congratulate the Cultural Ambassador, great scholar, Attorney-at-Law, former Speaker of Parliament, present Governor of Sabaragamuwa, W J M Lokubandara, as a great Rasika and Sahurdaya, in writing a book titled The mystique of Sigiriya – whispers of the Mirror Wall which gives in a nut-shell the great work of Sigiri Graffiti. Our Education Ministry must take steps to distribute this valuable book of Lokubandara to all schools of the island. It should be a “Must” to all school libraries. Our children, the future leaders should know the value of these poems of Sigiriya. 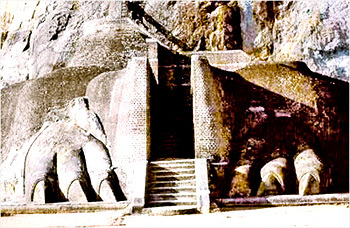 Dr Paranavitana, Professor of Archaeology always had a ready wit. His lectures were fantastic. He is a gold-mine of knowledge. One day, former renowned editor late Wimalasena Perera and Cecil Gratiaen Editor Daily News assigned me to meet Dr Paranavithana and interview him on Janakaviya - Folk Poetry, the topic selected by the Cultural Dept in 1969, for their Annual Literary Day. I met him at his residence at Nugegoda. Paukala Gono Adapan Haputal Yanawa is also a fine poet. Dr Paranavithana married Roslyn Kitulagoda in 1930. She was the sails behind this great scholar and she was a tower of strength to this fine gentleman and human being. My last meeting with him was in 1967 October 16, when I wrote a feature interviewing Professor titled “I looked after the frescoes like my own eyes” Paranavitana told Daily News and Dinamina. I was the first and only outsider to visit to see the damaged frescoes. Mr Nugegoda, Asst. 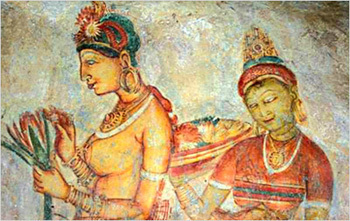 Commissioner allowed me to enter pocket after the defacing of Sigiriya frescoes. I reported exclusively to the Associated Newspapers of Ceylon. Dr Paranavithana was shocked and when I told him what I saw. He was in tears. 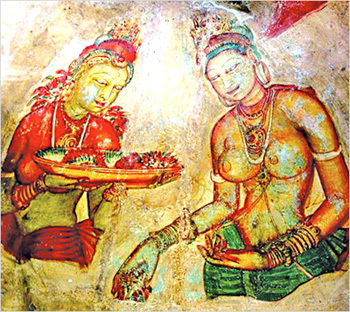 “Epasinghe, I looked after the frescoes like my own eyes.” I used these very lines as a headline. I presume, in winding this article, I quote one of the greatest Sinhala scholars Sri Lanka ever produced, Great Literary Giant Munidasa Kumaratunga in assessing Great Prof Senarath Paranavithana. “Some are embellished by their official status. It does not apply to this great man – Paranavithana. In his case he embellished the office he held.